Browsing through the pictures of our just concluded Mt. Apo climb, I took notice of my shoes. Ah poor thing! I can just imagine the torments it had to undergo to see me through my year long adventures. And I deem it essential to start with its negative aspects. 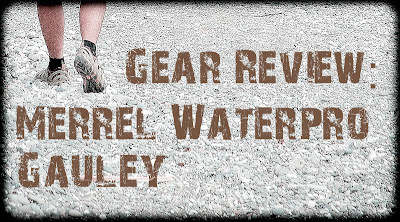 Being a water-sport shoe, its technology freely lets water inside without getting trapped in. 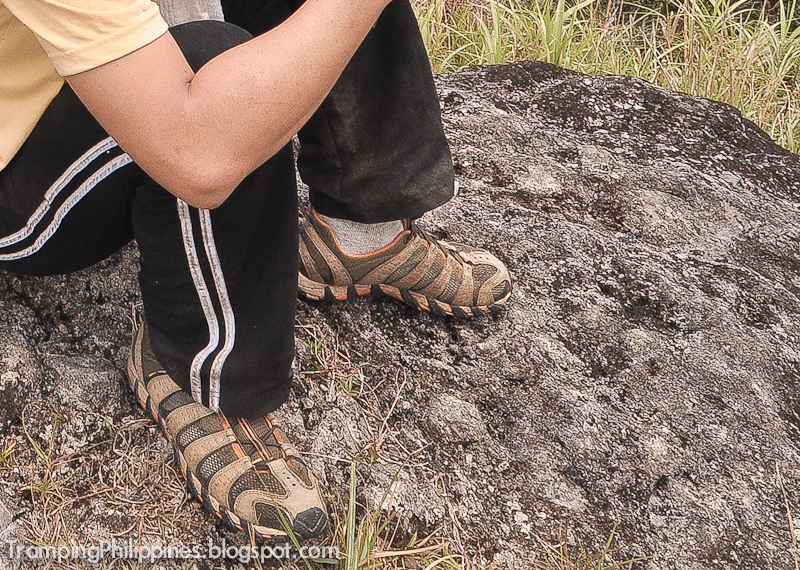 If you are the type of person who feels eeky with wet socks while climbing, definitely this pair of shoes is not meant for you. But getting wet in climbing mountains in a tropical country like ours is inevitable. I personally prefer a shoe that lets the water out rather than trapping it inside. The only other thing that can be thought of as negative is all the same related to its water-in water-out technology. Its side mesh may not be able to protect your feet like how other normal hiking shoes can. 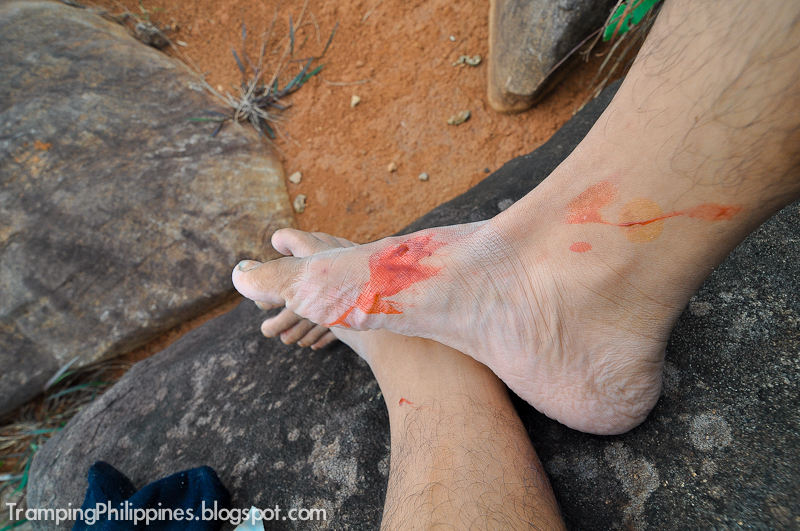 I, for one, had an excruciating experience having a single thorn stuck on my feet while trekking on dense vegetation. 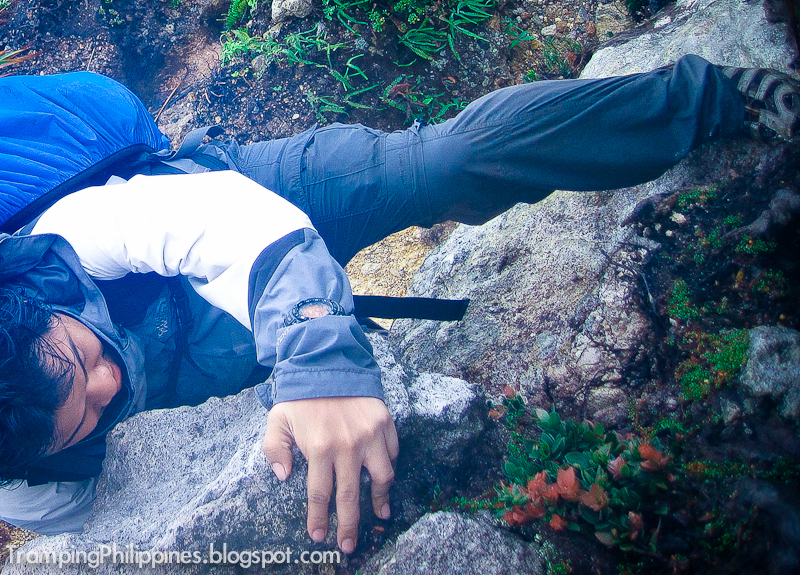 The first time I used this at Tarak ridge, boy had it surprised me. Being a water sport shoe, it provided me with appropriate traction to push me up moss laden slippery trails. 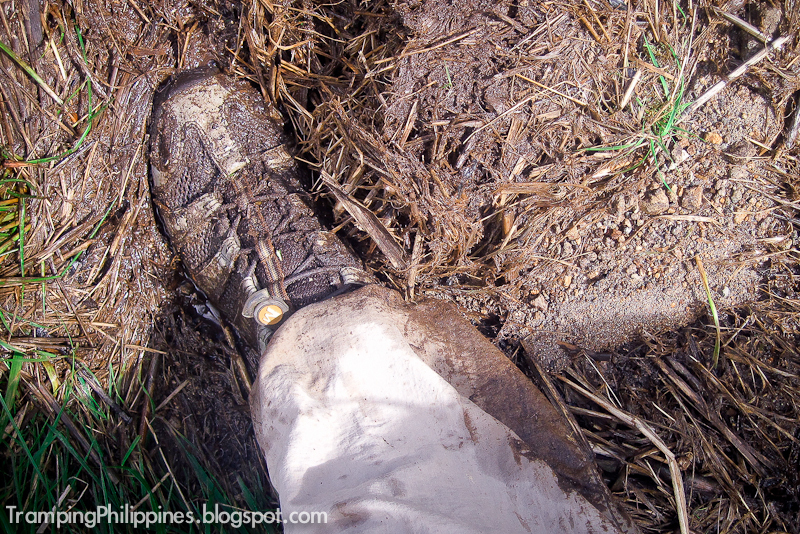 With almost all of the logs and roots being super slippery on that stormy season, my Merrel shoes gave me confidence stepping on even the slick root foot holds along the path. Never did the pair betray me and I can't remember ever slipping during the said climb. Another advantage of the pair is its lacing system. You don't need to tie the lace to tighten the hold on your feet. You just have to pull and lock it with a presser. It gives an equal amount of pressure on your foot and you don't even have to bend over time after time just to lace your untied shoes. Additional convenience is that while hiking, you can stop worrying about somebody stepping on a shoe lace that may send you tripping down. These little advantages, as petty as they may seem, can spell a lot of difference on whether climbing ecstatically or trekking down in a bad mood. Its flexibility and light weight more than compensate for the inconvenience set off by its mesh layer. The shoes will fit snugly to your feet and contort to whatever position you make while negotiating different foot holds. 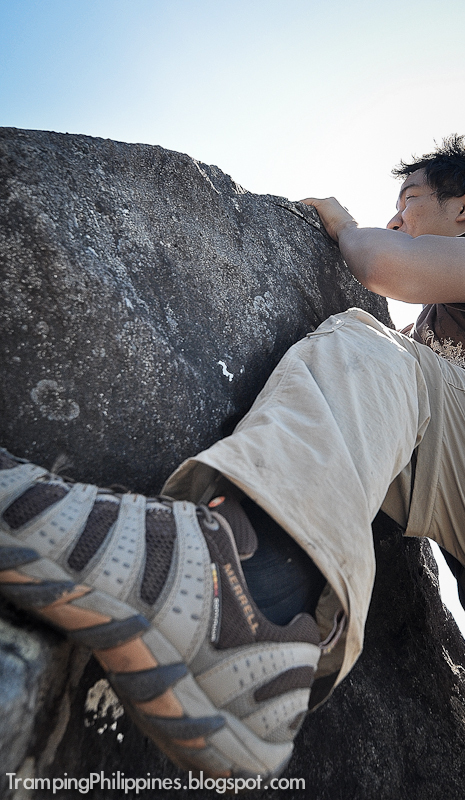 I did, in fact, use my Merrels in some of my major climbs this year: Maktrav and Mt. Apo among others. 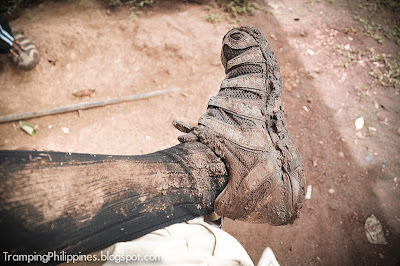 It did surprisingly well while I was scaling the rock faces of Makiling and Pantingan, negotiating the slippery and log laden path of Palali, and it was not intimidated by the challenging boulder trail of Mt. Apo. Yes! I had some agonizing experience when rocks accidentally bump to its sides, but taking everything into consideration, compared to other types of hiking boots, its flexibility can offer you a better scale through steep passages. In its favor, with the mesh diminishing the weight, it allows you to glide through the air as if it is just a sandal you are wearing. Comfortably, the pair can fit snugly inside your bag after the climb. 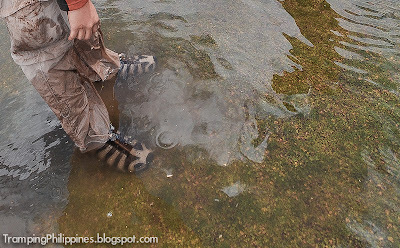 And lastly, due to its technology to let water out, the shoe will not smell that bad after a soak-filled hike. That’s all fellas! Lest I be carried away to sing more praises about this shoe that will take ages to write. 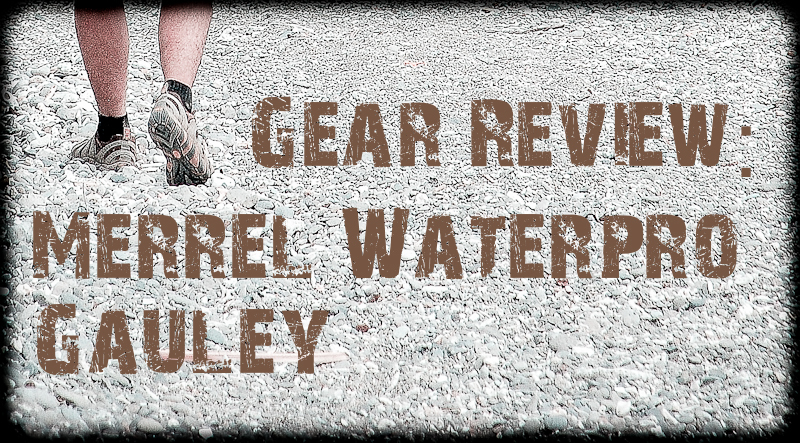 Let me just conclude though that I think the waterpro series of Merrel is a very good addition to a climber's collection of shoes. Its versatility and durability can withstand almost every mountain trail you'll pass and the lightweight design will not add to the burden of carrying an already heavy pack. Maybe someday, I'll think of buying a tougher pair than this one but it has to have the flexibility and lightweight design that this shoe already had. Maybe a Merrel Chameleon or a Merrel Ridgeline but as for now, I'll wait for my current pair to lose functionality before I replace it. 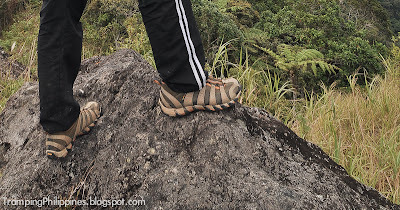 If the manufacturer would care for my two cent worth of advice: a tougher and more durable side mesh layer design can make this the perfect Hiking shoes for mountaineers like us. But still, even for its present disadvantages, I wouldn't think twice using this pair for my upcoming adventures. Times Used: Approx 30 mountains. I'm using Merrel Chameleon. Lalaspagin ko muna before I judge it.